Gearmotors are equipment built with an electric motor and a reduction gear train integrated into one package. This equipment greatly reduces the complexity and cost of designing and fabricating power tools, machines, and appliances that need high torque at relatively low RPM. Gearmotors also allow the use of economical low-horsepower motors to yield great motive force with low speed. Most AC motors offer an output that ranges from 1200 to 3600 RPM. They also feature both normal speed and stall-speed specifications. The gear reduction trains in gearmotors are designed to reduce or lower the speed output while it increases the torque. Making the torque inversely proportional to the decrease in speed. The reduction gearing allows small motors to move largely driven loads. These reduction gears are built to have a small gear that drives a larger gear. Why are Gear Motors Used? The main goal of using gear motors is to reduce speed and amplify torque. Gearmotors are used to reduce the rotating shaft speed of a motor in a driven device. They are also used to allow small motors to provide large amounts of force albeit at slow speed. 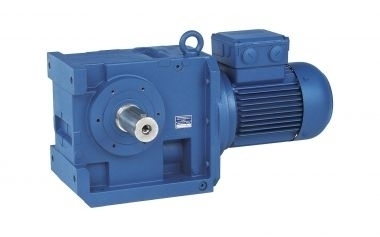 With the ability to reduce the rotating shaft speed of a motor and provide huge amounts of torque with slow speed, gearmotors are widely used in various industries for numerous applications. A gear motor is a very useful piece of equipment and you can see it in garage door openers, rotisserie motors, cake mixers, power drills, stair lifts and much more! Want to learn more or see how a gearmotor can help your operation? Call or visit Bauer GMC today to speak with an expert!